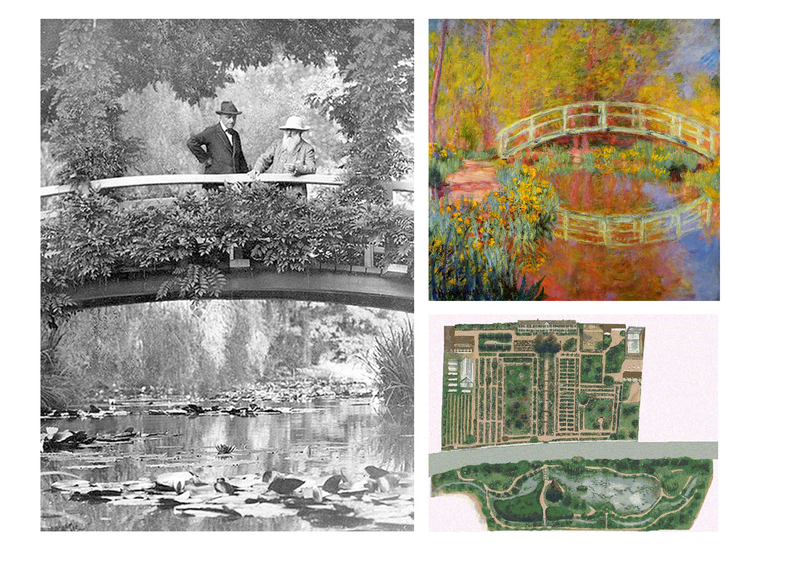 With this month’s issue of arTree magazine you can visit Claude Monet’s garden and create a painting of his famous Japanese bridge or a giant water-lily to hang on your wall! 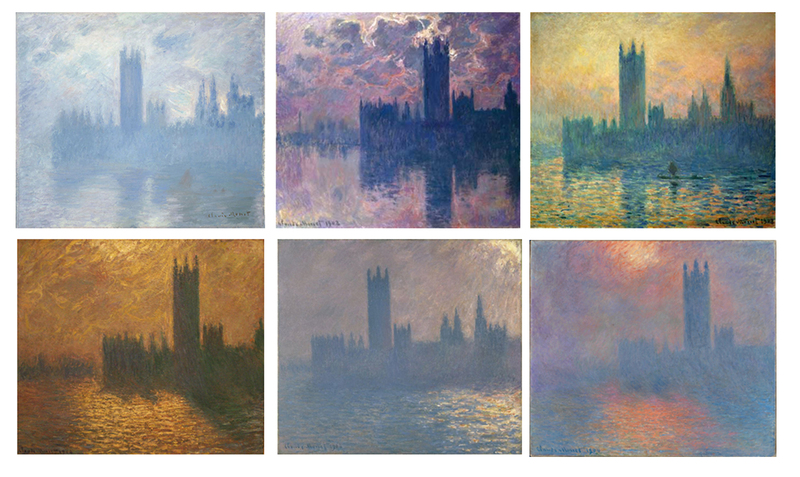 Show kids several of Monet’s paintings and ask them to describe what they see. Are there any lines? Black? Are the paintings from inside/outside? What is the most important element used? Why do they think he painted the same scene over and over again? 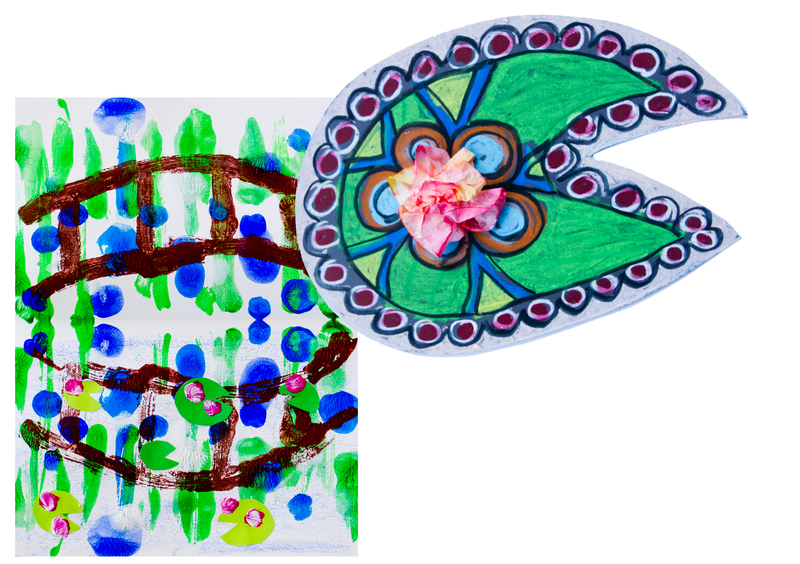 For the K (and 1), I would recommend making a template for the kids to trace the water lily pad (or you can predraw them on the black papers before you go into the classroom). When you use the watercolors to saturate the coffee filters, dilute the liquid watercolors a little to get softer colors and encourage kids to paint three of them, crumble them and put them on a side (leave them on a paper plate or just put them on a piece of a scrap paper with their name on it). You can paint the blossoms on the beginning of the lesson or you can set a table aside just for this purpose. When kids use the oil pastels, remind them to hold the pastels low and press down hard. If they do not press enough, the colors are not going to be vivid and if they do press a lot and hold the pastels too high, they will break. Encourage the kids to cover the whole surface of the water lily pad and then ask them to cut it out. You may need to glue on the blossoms later on, they will need 1-2 hours to dry (you can use just regular glue). Give the kids a little bit of time to think about the garden they want to paint. Let the kids paint the garden and then write a little poetry (or a short lyrical text) about it. How does the garden make them feel? Why do they think so? Start the project with folding the paper and make sure kids shade only one half of the painting with their blue pencil/crayon. Then they can start working on their own. Remember to encourage them to fold the painting frequently, so that the paint does not have a chance to dry. 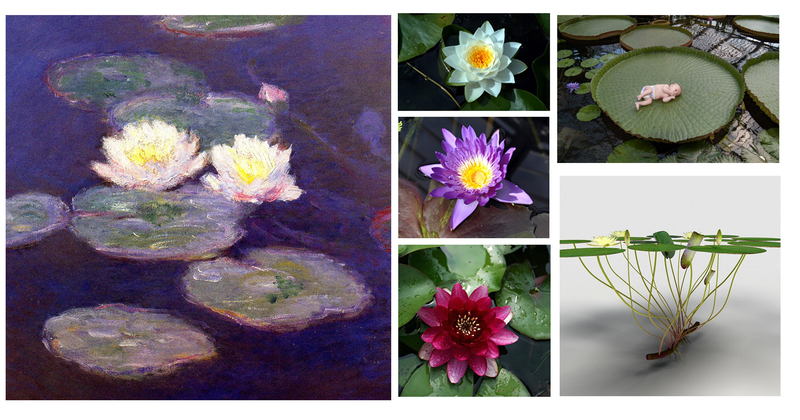 When they are done, they can add water lilies to their pond with green construction paper, paint, crumbled tissue paper, potato stamps, finger painting, model magic or anything else you may like to try. Do you want to bring this art program (along with the magazine, more projects and ideas) to your school? This entry was posted in Art Projects and tagged art, ArTree, docent, garden, impressionism, kids, lily, monet, program, project, water. Bookmark the permalink.